The ROBA Anti Dust as through feed solution guarantees high productivity with best cleaning results. Solution as stand-alone version or for large quantities, or placed directly in front of a lacquering line. Many users have the problem of imbedded dirt and dust residues after lacquer application. These particles are not removable anymore, because they are placed under the lacquer layer. Ordinary machines with a cleaning drums transverse to feed direction solve the cleaning problem only insufficient because they are only able to remove dust from the grooves in feed direction, leaving dust in the crosswise grooves. Even worse they sweep all dust into these grooves. The new MB system solves the problem with the help of an additional cross unit. This unit takes care that the whole part is cleaned completely, even in complicated contours. Special brushes collect the dust, ionization bars reduce static loads, and a blower system finishes the cleaning process. 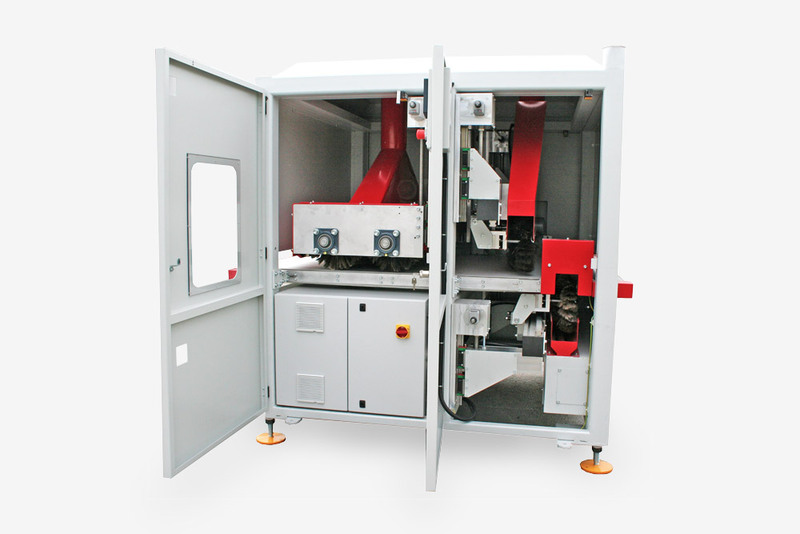 On demand the machine is also deliverable with a bottom cleaning unit. Abrasive configuration is freely selectable from the MB Flex system. Transverse cleaning unit, optional also from bottom. On demand as brush or belt clean unit deliverable. An ionization bar with integrated air knife takes the static load off the work pieces. Transverse working cleaning aggregates, consisting of brush or belt unit. On demand top and bottom units. Special feather brushes already used in the automotive industry. The Anti Dust takes advantage of this experience. Do you want a detailed consultation or an offer? Then call us now or send us an inquiry using the form below that we are able to contact you. I have read the Privacy Clauses and accept them.